Mark your calendars! 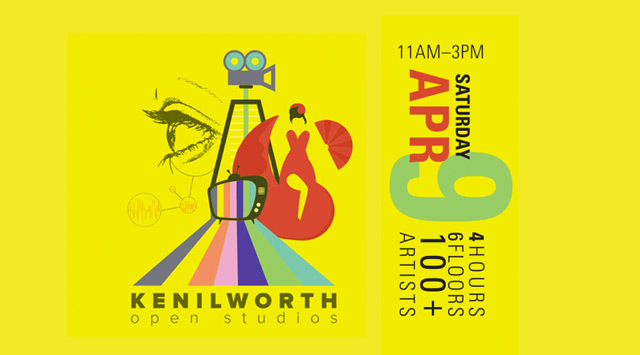 Kenilworth Open Studios is happening Saturday, April 9th, 2016 at UWM’s Kenilworth Square East facility at 1915 East Kenilworth Place in Milwaukee. Besides being able to check out some of the awesome work done by students and faculty, you can see the Digital Craft Research Lab and you can check out what I call the “Physical Computing Lab”, which is also known as “KSE 516″ or “Room 516 on the 5th floor” which is where I teach Electronics and Sculpture. I’m hoping some of my students can share projects during the event, and I might even have some things to show. If you’re at all interested in physical computing stuff (Arduino, Raspberry Pi, things that move and light up and make noise) visit 516 and I’ll tell you what I know. Posted on Sunday, April 3rd, 2016 at 11:25 am. Subscribe to the comments feed. Both comments and pings are currently closed. Post on your own blog.